Companies speak to families with special needs about their services at the city’s first Special Needs Family Resource Fair. Through the event, the companies were able to provide information to community families and network with similar organizations. 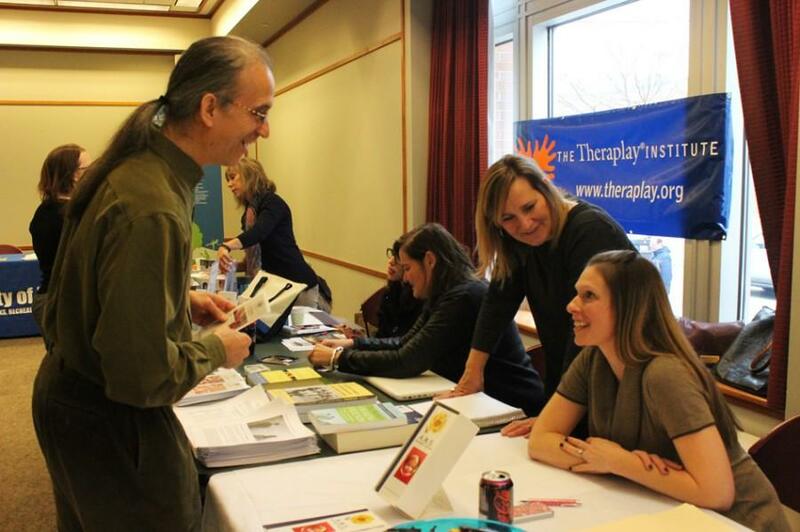 Evanston-based companies that offer services for families with special needs gathered Saturday for the city’s first Special Needs Family Resource Fair, which allowed for the different organizations to network with each other and form a community. The event, organized by Katie Smith, a parent of a child with special needs, and Jill Skwerski, a community engagement librarian, featured 17 local organizations. Frances Price, a parent of a child with special needs, said she learned about the Institute for Therapy through the Arts at the fair. The institute has provided creative arts therapy in Evanston for nearly 40 years. The fair also provided a place for local organizations to network, Skwerski said. Cari Levin, the founding director for Evanston Citizens for Appropriate Special Education, an organization at the fair, said one of the major benefits of the event was to build a community of Evanston organizations, including preschools, special education advocacy groups and therapy institutions, that provide special needs assistance. It is an especially helpful event for organizations such as Have Dreams, an autism resource organization, which have a newer presence in the Evanston area, said Ceci Rice, a job coach at Have Dreams. Rice said this event will help her organization network with other providers. Project SEARCH, one of Have Dreams’s programs, helps older students with special needs secure and keep internships. This event could also help the organization find more internship opportunities for their students, Rice said. For non-profit organizations like the ITA, having the fair helps the group spread awareness of its programs without having to divert funds to marketing, said Amber Bond, ITA’s administrative director.